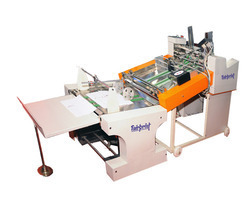 Leading Manufacturer of number and barcode printing machine from Faridabad. We are a renowned organization that is engaged in manufacturing Number Barcode Printing Machine. These machines are manufactured using high grade components and equipment that are sourced from vendors of high repute. 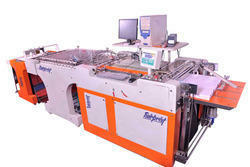 The smart programming in these machines allows for pre set count, batch count and total count. 220 v / 1 Phase / 50 Hz. We are a renowned organization that is engaged in manufacturing Number and Barcode Printing Machine. These machines are manufactured using high grade components and equipment that are sourced from vendors of high repute. The smart programming in these machines allows for pre set count, batch count and total count. Power Supply 220 v / 1 Phase / 50 Hz. Power required 2.5 H. P.